IELTS stands for International English Language Testing System. It is a measure of language proficiency of people who want to study or work where English is the major language of communication. It is based on band scale with non-user (band score 1) through to expert (band score 9). IELTS General training: For applicants migrating to Australia, Canada, UK or for secondary education, training programme and work experience in English speaking environment. 9 Expert user It shows full operational command of the English language. Appropriate, accurate and fluent in English and shows complete understanding. 8 Very good user It shows full operational command with only occasional unsystematic inaccuracies and inappropriate usage. May misunderstand some things in unfamiliar situations. Can handle complex and detailed argumentation well. 7 Good user It indicates that the test taker has operational command of the language. Generally handle complex language well and understand the detailed reasoning. 6 Competent user It shows an effective command of the language despite some inaccuracies, inappropriate usage, and misunderstandings. Can use and understand fairly complex language. 5 Modest user It shows the test taker has a partial command of the language and copes with overall meaning in most situations. The test taker is able to handle basic communication in their own field. 4 Limited user The test taker is limited to familiar situations. Able to use complex language. 3 Extremely limited user Conveys and understands only general meaning in very familiar situations. Frequent breakdowns in communication. 2 Intermittent user Great difficulty understanding spoken and written English. 1 Non-user No ability to use the language except a few isolated words. 0 Did not attempt the test Did not answer the questions. IELTS result is valid for 2 years. IELTS is accepted by over 9000 organizations all over the world as a proof of language ability. IELTS Test is offered in over 1100 locations over 140 countries. It is a paper based test. Its result is available within 13 days. First, find the nearest IELTS test location in your place. For this simply go to ielts.org and identify the test location near you. You can register and pay online. In addition, you can download the form, print it, complete the form and submit to your local test centre. Remember that you need to provide a copy of your valid identification. It may be your passport. Finally, you will receive the confirmation of the date and time of your test. Please visit www.ielts.org for more detail. You can also comment below for any information you need to know. We will try our best to provide you the relevant information. IELTS test date 2018 is open. If you are in search of IELTS test date in Nepal, you can be ready to check for date on this page. Ielts test date 2018 are available and can be booked online. You can get list of IELTS date available in 2018 online and book as per your requirement. Ielts test dates frequently cross the limit of available seat during booking period. Once IELTS test date is booked, it will be booked for 14 days. The person who booked the date must pay IELTS test examination fee during that period. If the person does not pays until 14 days, the available seat will reopen. You can find these all details about booking IELTS test dates in British council website of Nepal. Booking IELTS test date is easy. 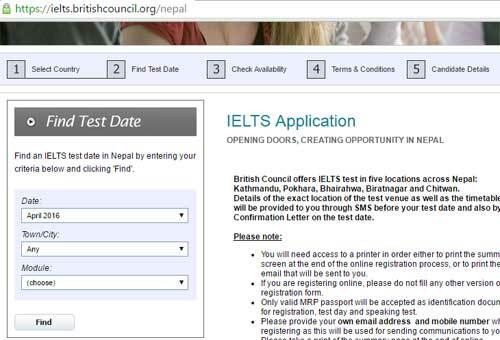 British council website of Nepal https://ielts.britishcouncil.org/nepal regularly updates the date available for IELTS. This is the only webpage that can give you information about IELTS test dates 2018. You will see IELTS test dates for Nepal as soon as you log onto the webpage. As soon as you go to the britishcouncil.org webpage and select your country, you will see the page with IELTS test date details. 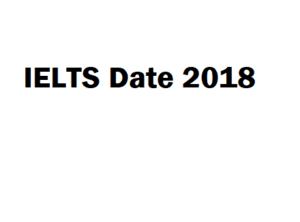 IELTS test dates 2018 will be shown in the page. Ielts test date booking in Nepal is very much easy. This stepwise instructions will guide you totally on getting available IELTS test dates in Nepal. Firstly, go to the webpage of IELTS british council which is located at https://ielts.britishcouncil.org/nepal. You will be getting the information on available test dates and you can make a choice among them. You can select your preferred date of IELTS examination. Furthermore, you can check the availability of IELTS dates on the ielts website. After choosing available date from the webpage, accept the terms and conditions and enter your details. Please do not forget to print out the last page after submitting the IELTS form. If you can not get IELTS date in Nepal recently, you need to visit the ielts website mentioned above time to time. In this way, you should not miss the latest upcoming IELTS date. First go to the official website of IELTS for Nepal (https://ielts.britishcouncil.org/nepal). Find available test dates or upcoming test dates. Check whether the seats are available or not. If seats are available, you can begin the application form. Application form must be correctly filled-up. Do not make any error on entering your passport number over there. Otherwise, you may be in trouble later. IELTS date in Nepal are too much difficult to book. Nepalese students are interested to study abroad for getting internationally recognized degree. For booking IELTS date in Nepal or for getting IELTS date in Nepal, you must follow following steps. Stay updated with official British Council website. 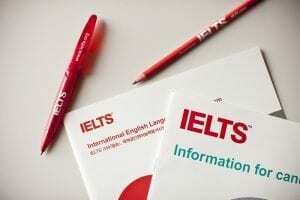 Suppose if today IELTS date is opened and you did not get it. Then, you increase your time of IELTS test date checking after 14 to 15 days. Doing this, probability of getting IELTS date will increase as all bookings are void if applicants do not pay fee till 14 days. Recent update is that UDP also provides IELTS date in Nepal. Previously, only British council used to provide IELTS date in Nepal. IELTS date in Nepal is quite difficult to get. We are sharing an important tip to get IELTS date in Nepal 2018 and IELTS date in Nepal 2019. IELTS test date in Nepal 2018 and 2019 can be checked online on the official website of British council (https://ielts.britishcouncil.org). IELTS date in Nepal are available. You can get it if you check regularly because dates are opened again as some applicants do not pay till 14 days. If the applicant do not pay IELTS fee until 14 days of application of IELTS form, it gets void and new seats on the same test date are re-opened for new applicants. IELTS date in Nepal can be checked through the official website of British Council which is ielts.britishcouncil.org. Website of British council shows the upcoming dates for IELTS test. Another English language test named PTE has started in Nepal. With the increase in competition between English tests, IELTS has two test providers. They are British council and INDP.